I look forward to speaking with you and helping you plan just the celebration you desire. • DJ / MC, Pro sound system & lighting package. • Pre-event preparation and basic consultation for your celebration of a lifetime. • Quotes include additional time in on set-up, takedown and travel time. 3 hour performance time for DJ w/ Pro Sound, starball, spinners, basic pre-event consultation by email/phone, and wireless microphone included. 3 hour min. $650- base price. Other add-ons available. Same as above with enhanced lighting system, Add a strobe, color LED spinner or accent lighting for location. 3 hour min. $850- base price. Other add-ons available. 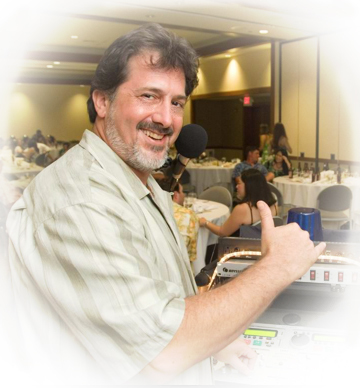 DJ/MC w/ enhanced lighting system for over 150 guests in ballroom/large outdoor events. 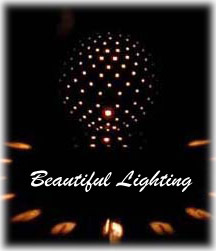 Strobe, starball, spinners, lighting fx, wireless mic, high interaction. 3 hour min. $1050- base price. Other add-ons available. • CEREMONY SETUP - Sound system with iPod and 1 wireless mic on stand or lavaliere for the officiant. Allow time for setup. $300- add-on 1.5 hours. 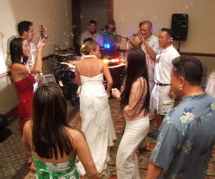 "The music and good times on and around the dance floor are often the most remembered moments of a wedding. Thanks for choosing TRAX Entertainment!"